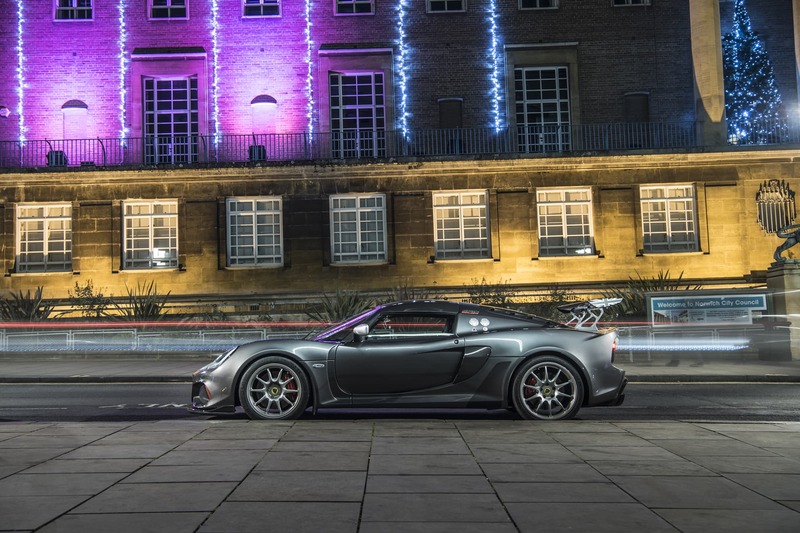 The launch of the new Lotus Exige 430 CUP was very exciting to me. As an owner of a Lotus Exige S which I have modified to 460hp and have driven 20,000 miles in now, the new 430 CUP is a car which I hugely wanted to experience, have a drive in and of course take photos of. Lotus kindly invited me to their factory and test track at Hethel to do exactly that! I’m fairly new to “reviewing” cars so hopefully you enjoy reading this and I have explained the experience of the car in a way which will make you appreciate the new car. 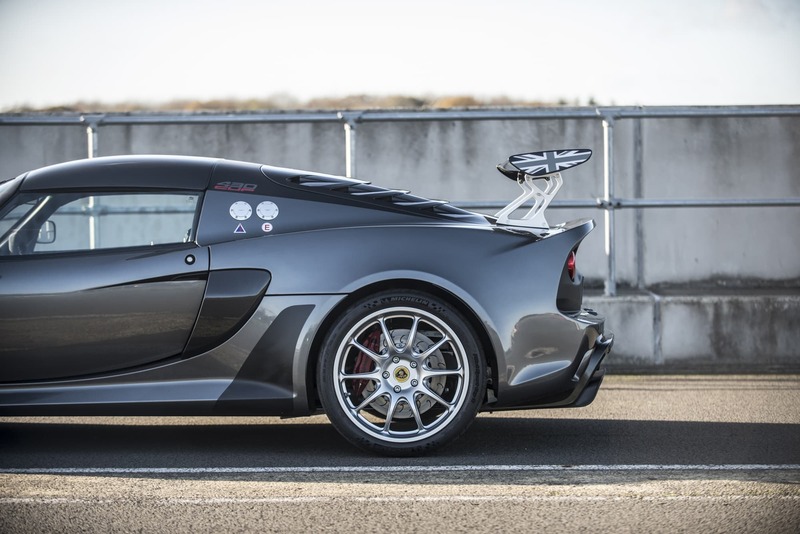 For the purposes of the review, I’ll draw comparison to the original V6 Exige S, not my now modified version. 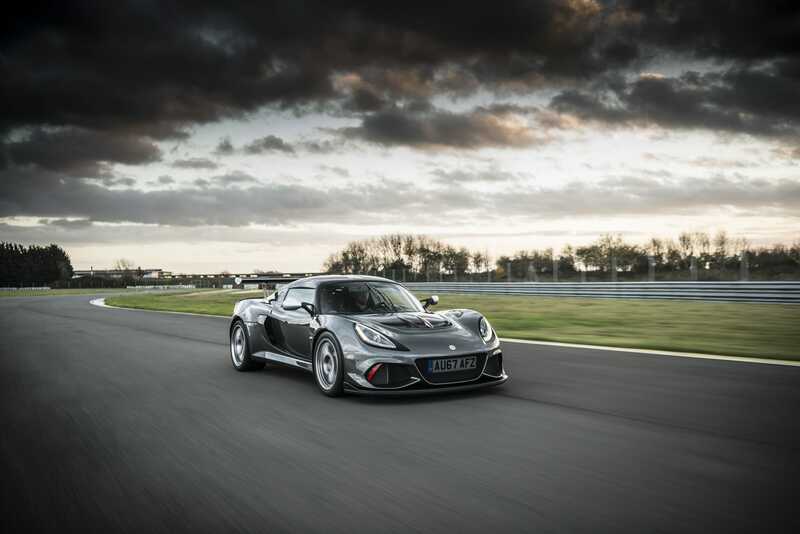 So as an Exige owner, and I think most people I have spoken to will agree with me on this, the 430 CUP is a huge leap for the Exige range, offering a 430hp chargecooled engine, originally from Toyota. To put things in perspective, the original V6 Exige was 350hp and I don’t think many people who have driven one would say it’s a slow car! With 80hp more, and a good chunk more torque, but this car is so much more than just a power hike compared to the older car. 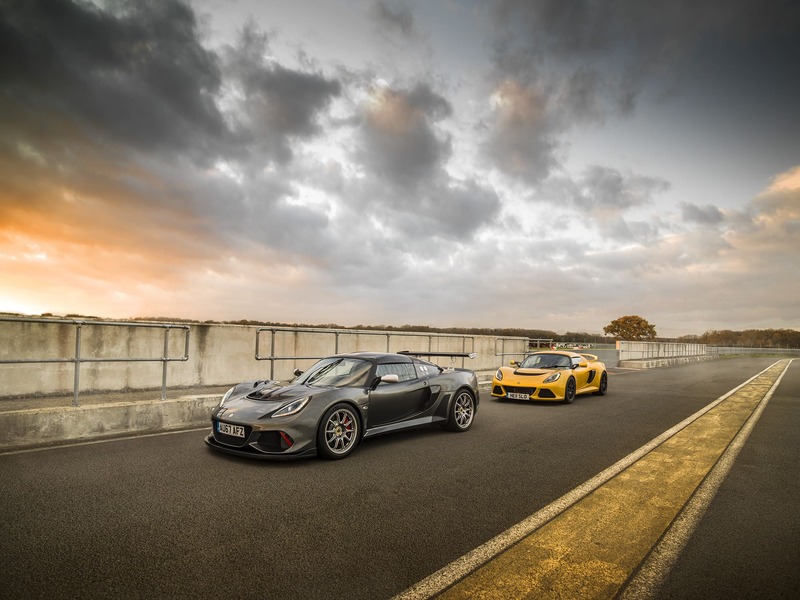 Every Exige is about the experience as a driver, so I’ll jump to that and how the new 430 CUP differs from the standard Exige S. The moment you get in the car you notice how far Lotus have come. The first thing which enters my mind is that the carbon sills being slightly lower aid getting in and out, although being a LHD press car, I must confess it was a lot more challenging to me than my own car which I’m used to. Once sitting in the lovely carbon fibre bucket seats, which are made in house at Hethel in their autoclave, you start to notice just how different things are in the cockpit. No more do you have to guess whether the air conditioning is turned on or not, or whether you’ve got the lights switched on, but instead you have very clear switches which have clearly been considered and feel much better quality. The gear shift is an amazing sight to see too, and moving it around it feels very precise and rifle bolt like. Hit the new start button and the car still revs as you start it, something which I’m sure my neighbours hate about my car, but still gets me excited each time. This 430 CUP is totally smooth and a doddle to drive slowly, which is what I was initially doing, moving it around to take photos. 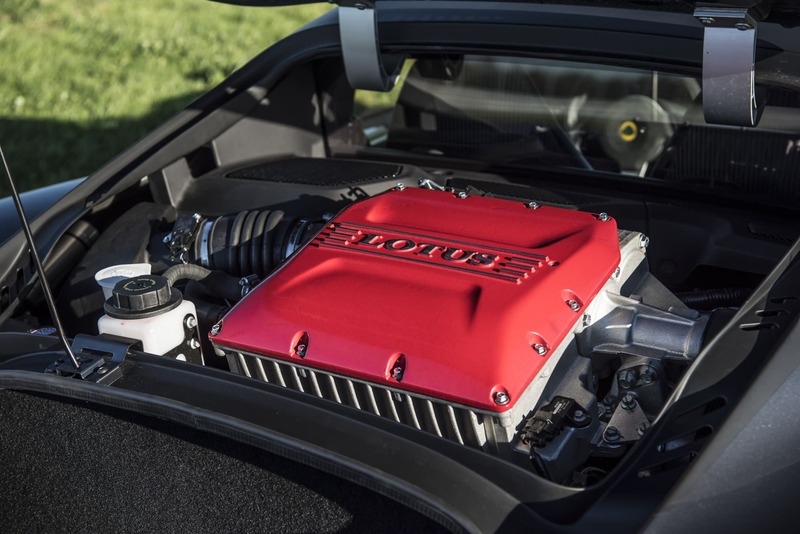 The new, larger, and stronger clutch means that the pedal is lighter, which although sounds like a small thing, when you own the car it makes it more pleasant if you get stuck in traffic for example. Still driving slowly and a very noticeable thing about the 430 CUP is how well it absorbs bumps. This may look like a race car, but Lotus have worked magic in the suspension department, with 3 way adjustable Nitrons. It’s not just that which impresses though, I’m still struggling to understand how they have managed to reduce the weight of the car so much, while making it feel so much better quality. There were no rattles, it was a remarkable improvement on my car. We went onto the track and got to appreciate the details on the car while taking some photos, a good chance to see how they’ve reduced the weight so much. 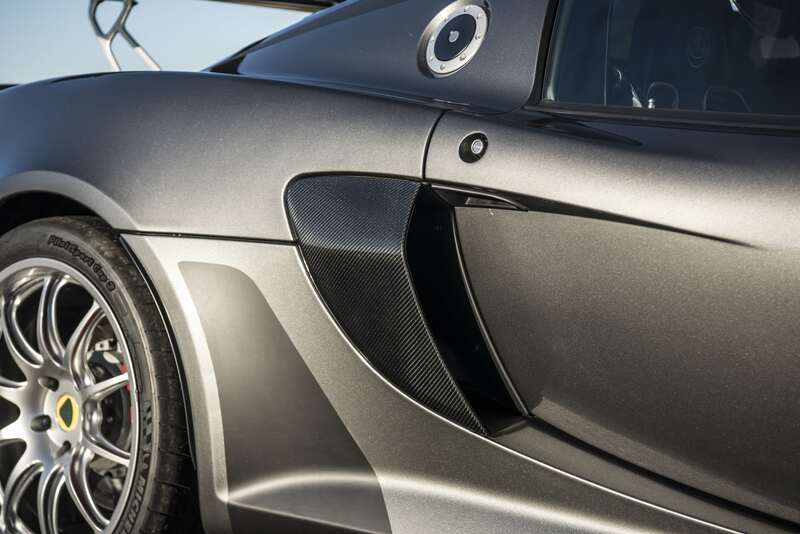 The Carbon Fibre parts are the first obvious thing which you notice, then you’ve got forged wheels, new clam designs, lightweight battery, titanium exhaust and more. 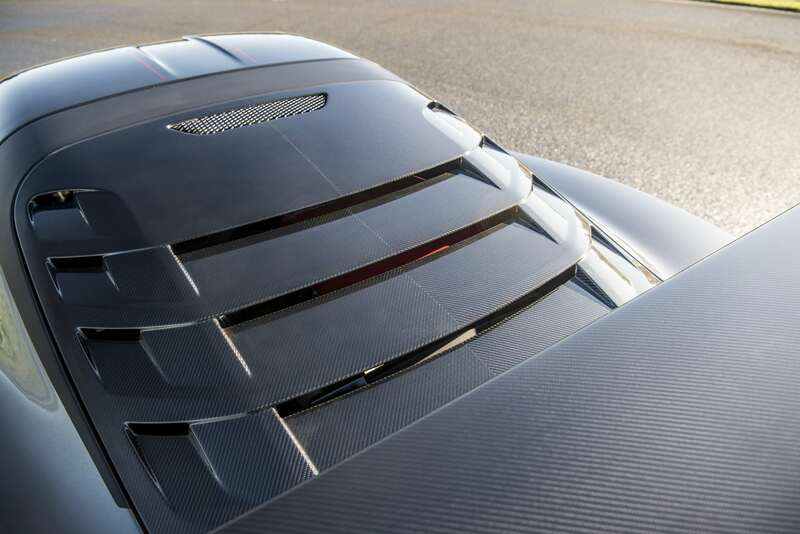 They’re not messing about with this car, despite adding the weight of a charge cooler, they’ve managed to make it lighter which is quite an achievement. In the afternoon I finally got to do the part of the day which I really came for; driving the car properly on track! I think it’s fair to say I’m pretty used to driving in an Exige, but when you hop out of a RHD one into a LHD one with a different seat (I have a Tillett seat), it takes a little bit to adapt! A couple of laps though, and I’m starting to get a feel for the car, and again I’m surprised by many things about the new experience. The power delivery the whole way through the revs is totally smooth. With all Exiges, you have to learn to drive them a bit, but with power delivery this smooth it doesn’t scare you at all. Instead, it gives you confidence to push on. 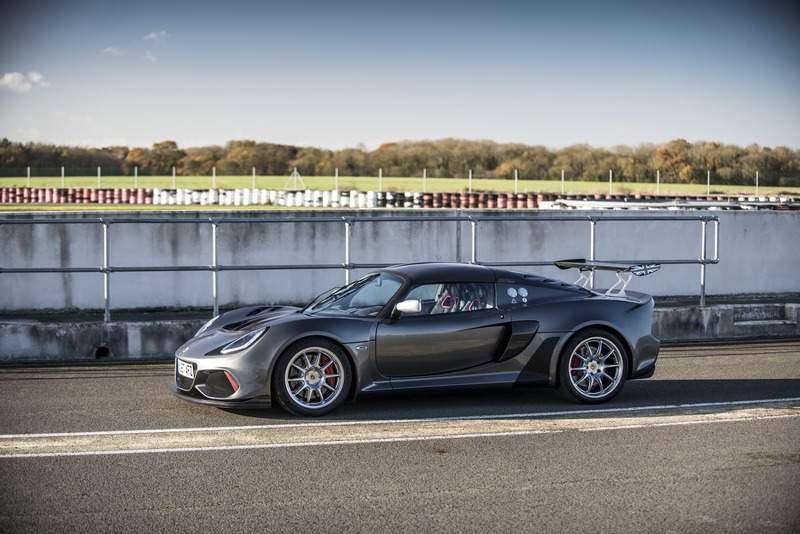 This power hike takes the Exige from being a fun car to drive, to a serious weapon, luckily keeping all that fun factor with an awesome soundtrack to boost. It’s hard to explain how fast a car is in text; this car has over 400hp/tonne which puts it above a Porsche GT3RS, for example. On track, this car will be pulling away from much much more expensive cars! Lotus tell me that as we were expecting rain, the suspension is setup in their suggested road mode, which is actually very interesting to me. The springs on the front for example are 550lb/inch, which could be considered quite soft, and they’re running 0.8 degrees of negative camber which again seems a bit safe. But when you drive this car hard and lean on it, the turn in is very direct and predictable, and although maybe if the car was a little stiffer in the track settings it might have had a little less roll and been sharper still, the 430 CUP really rewards you in every way even in the road settings. We spent the first few laps in race mode, learning the track as it was my first time at Hethel. Race mode is the same as in my car, but what excited me was the new variable traction control system. This allows you to choose from various different levels of slip. We start on 1%, and I must confess that with how much more grip this car has, you only notice it coming out of the hairpins. This mode feels like race mode to be honest, but I’m told race mode helps you in braking zones by adjusting the braking from left to right to keep you in a straight line, well as when you’re in the variable slip mode you’re on your own in the braking zone. On 1% slip, the car quite conservatively hooks up the rear wheels and feels like it’s cutting power quite a lot. As with race mode, I feel like this is a good learning tool to make you drive smoother, if you can feel it cutting in, you’re not driving smooth enough. Those who know me will know that I’m not that smooth a driver, I like cars when they’re dancing. 12% slip it is then, and I’m a lot happier! The car has a touch of slide when you exit the hairpin while really pushing you out hard. Of course, we tried it with the traction control fully off and interestingly the car can hook up with a lot more traction than the old Exige. There has been lots of debate about whether this car needs an LSD. 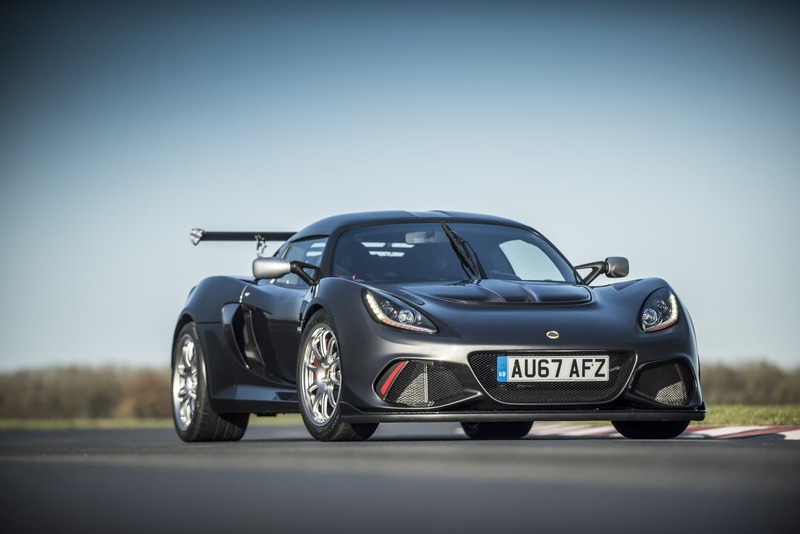 Lotus say that it adds weight and it isn’t needed; having driven the car, I can say that in the dry, because of the new improved traction, I didn’t feel that it was needed if you’re driving smoothly. Start to drive in a slightly more immature manner, and you’re left wishing it had an LSD, but in reality I think I’m one of the only Exige owners who actually regularly powerslides their car! On from the hairpin and onto the high speed sections, the car is so much more stable than the Exige S it’s unreal. 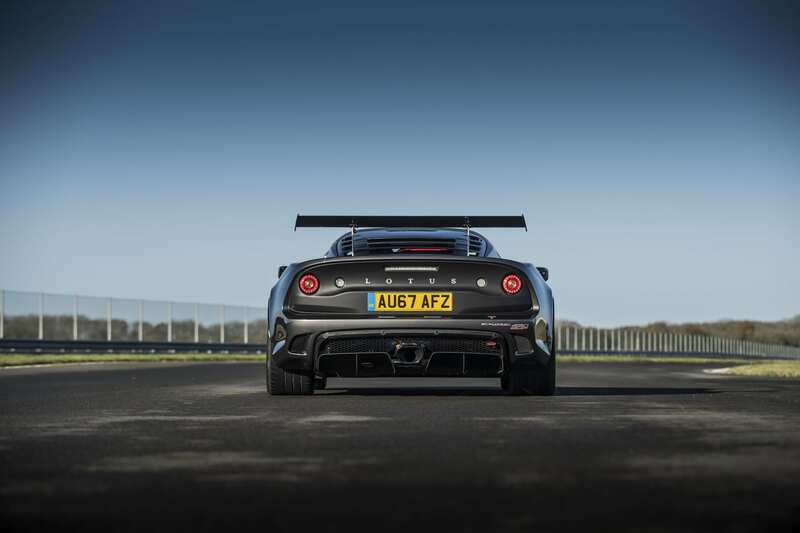 Lotus say there is 220kg of downforce and in a car which weighs a little over a tonne this is a noticeable amount. The reality of what this means is that you can be a lot more committed through high speed corners. On the fast right hander at Hethel you’re grateful for this! After the right hander you have a bit of a straight into a hard braking zone for a chicane. The pedal feel is really good and the car is perfect lap after lap. 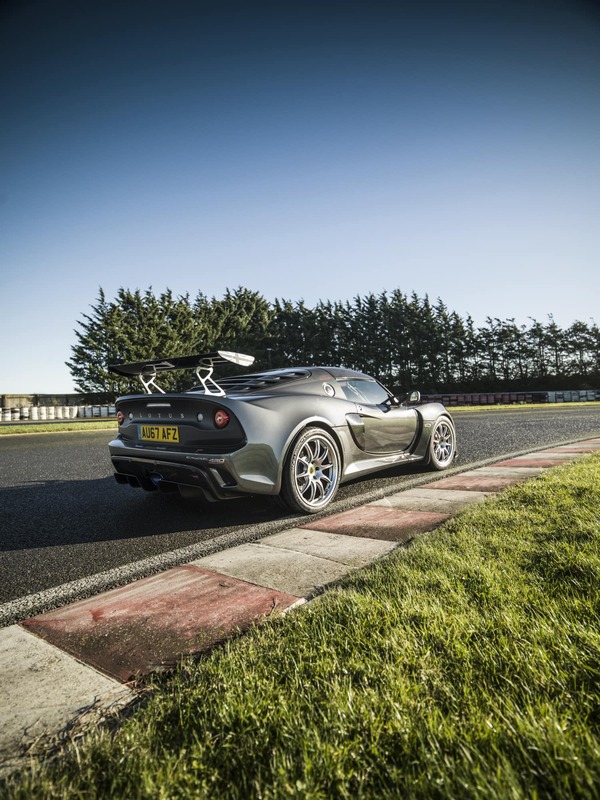 One of the things I love about the Exige is how you can pivot the car as you come off the brakes into tight corners, meaning you can brake very very late on track and accurately point it exactly where you want it. If I were being super critical, I’d say that it would be nicer if the brake pads had a bit more initial bite, but they are very good brakes! After I was done driving, the Lotus test driver took me for a few laps to show me what the car could really do. With a smoother driver this car really rewards you, carrying huge speed through the corners in a way I could only dream of doing in my car. This car is so much greater than the sum of it’s parts, from how well it’s setup to little things like how they’ve put a little brace in the rear clam to strengthen it from the forces of the rear wing. Lets get onto the next part of my review though, away from the track and onto the public roads. Now I tried not to draw comparison to my tuned 460hp Exige, but there are many people who are interested to hear what I thought of it when up against my car. The Komo-tec tuning kit on my car feels slightly quicker, but the reality of this, and it’s hard for me to say this, is that the 430 CUP is very very similar. The car has near enough identical power to weight ratio, but of course is lighter which benefits in many other ways, not just in a straight line. I could argue my car is a bit more exciting because I’ve got such an aggressive setup on it, and revs slightly higher, but it’s hard to overlook how far Lotus have come with this car. It rides well, it has more grip, and it is so fast that you won’t have to look in your mirrors on trackdays if you drive it well. 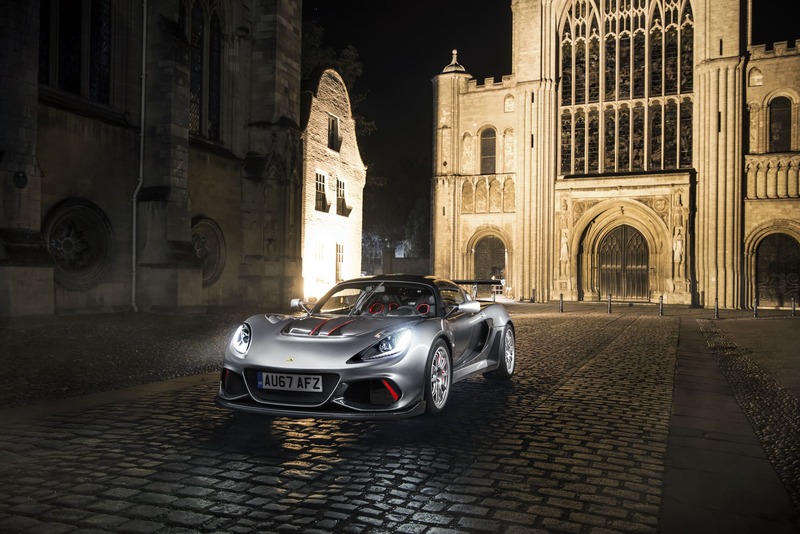 You couldn’t create the 430 CUP by just adding parts to an older Exige; you wouldn’t get the package which makes this car so good. 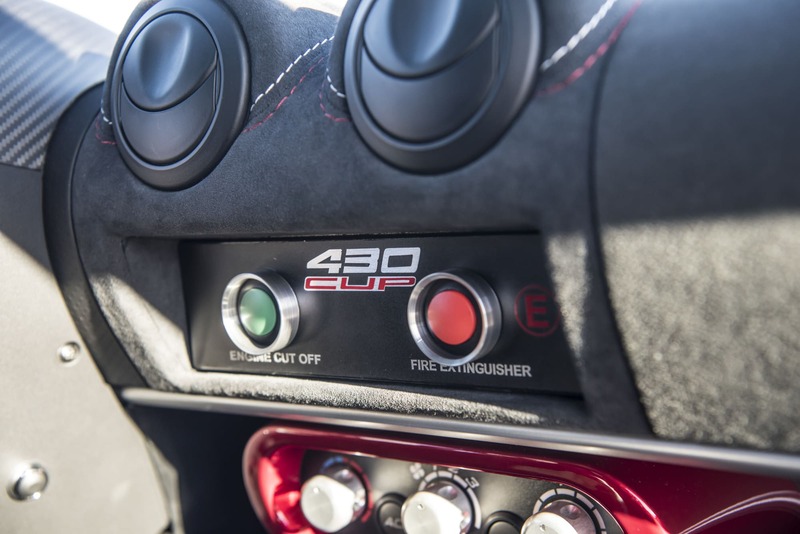 Add to that that you get a warranty on the new 430 CUP and it’s a very appealing package indeed. 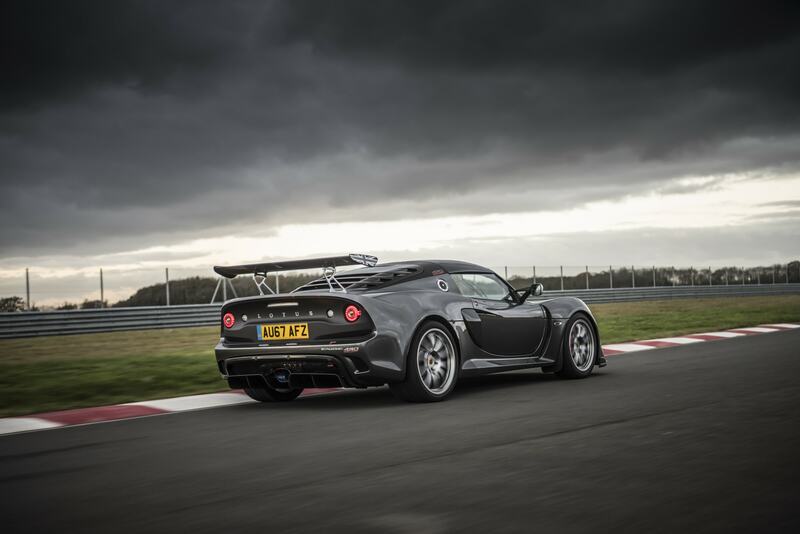 I’ll end this by saying thank you to Lotus for inviting me to drive your new flagship car. It’s brilliant in so many ways, and if I could afford one I’d be very very tempted to swap my car for the new 430 CUP.